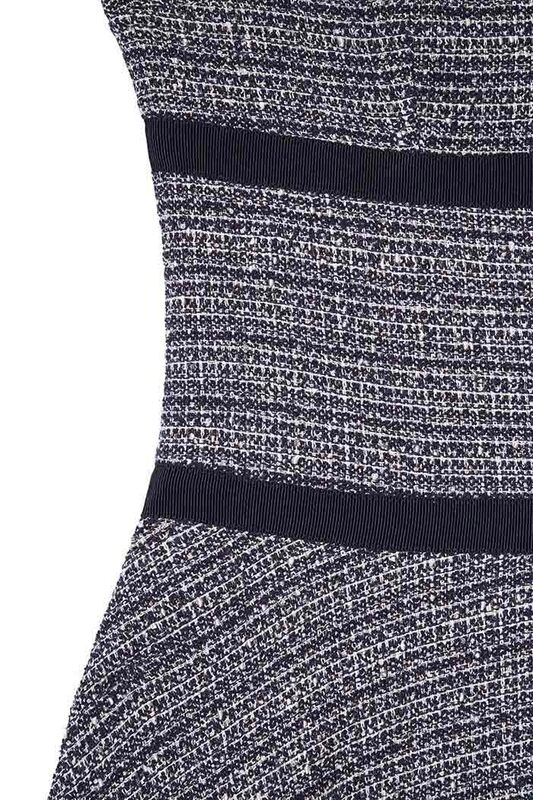 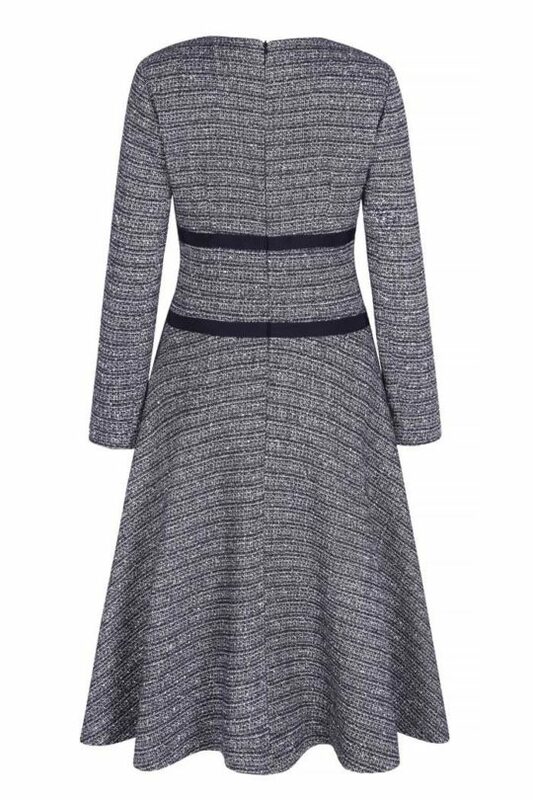 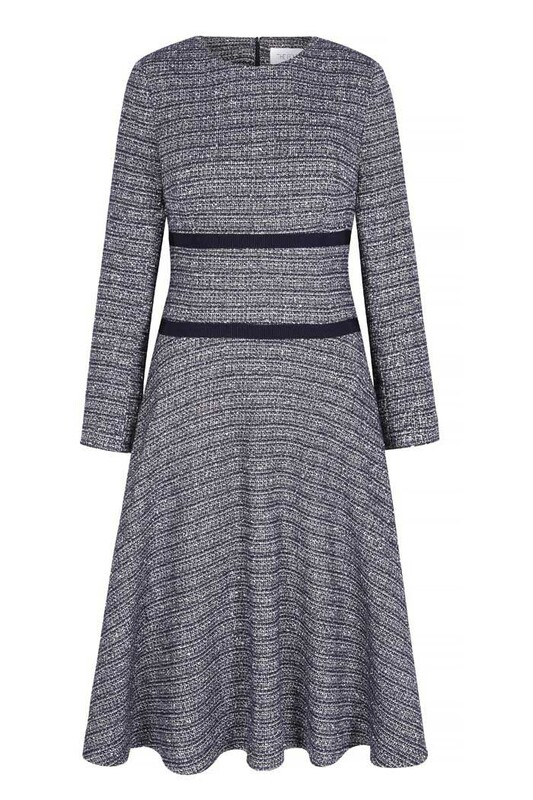 For understated glamour, opt for this figure-enhancing modern tweed dress. 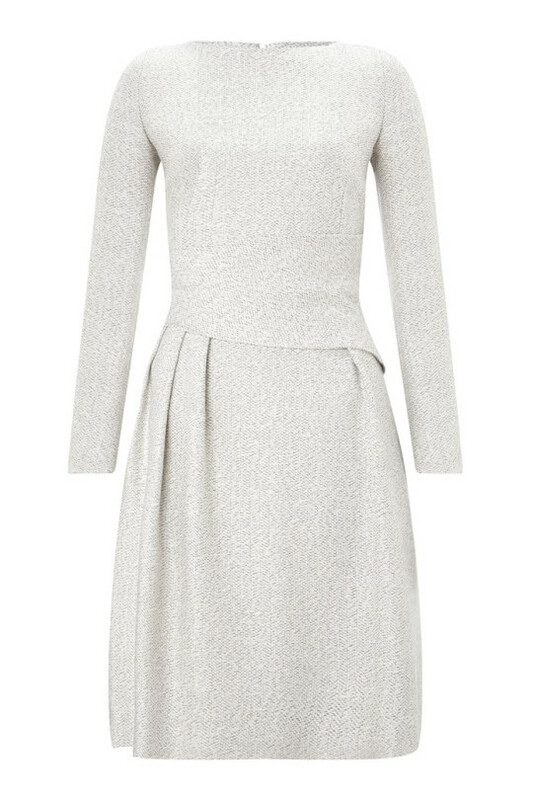 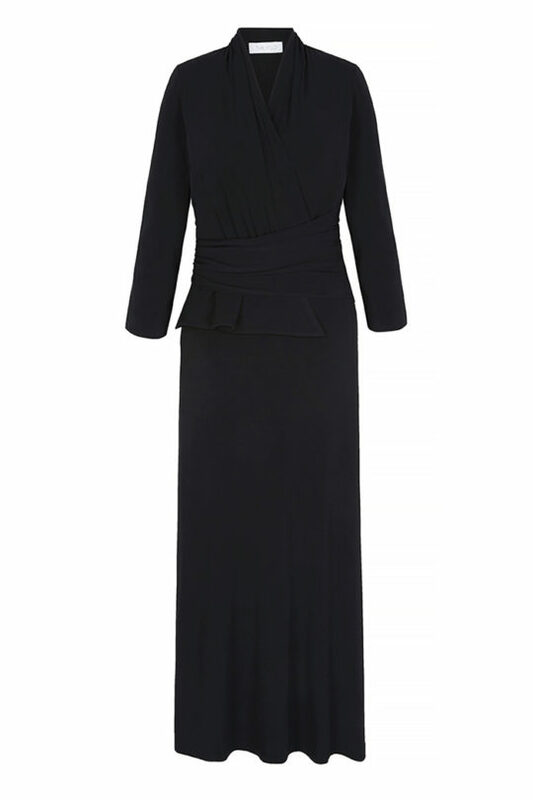 The long-sleeved Southerby dress is fitted through the bodice, with a full A-line skirt. 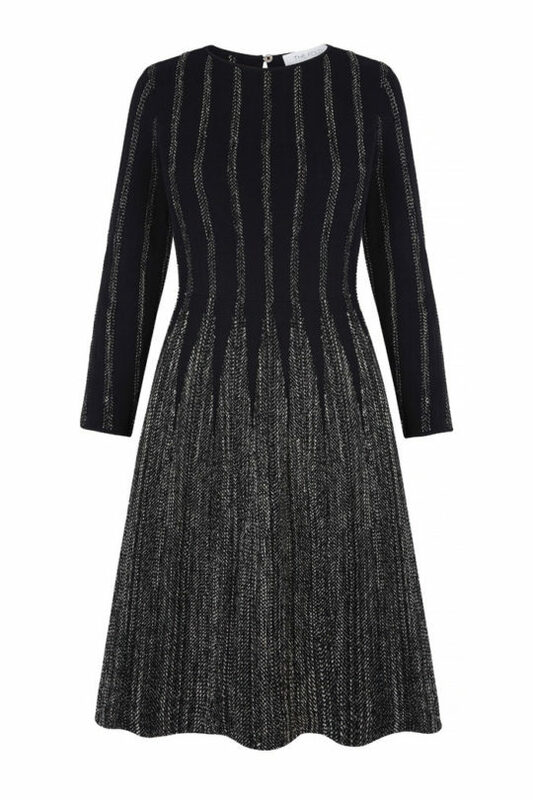 Silver lurex thread is woven through the ivory and navy bouclé-tweed for a subtle shimmer, while a contrasting grosgrain tape highlights your waist. 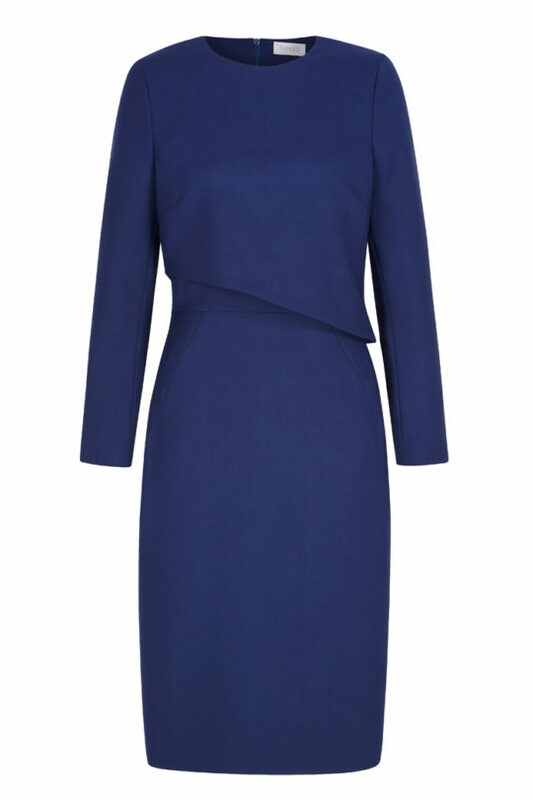 Wear to winter weddings, formal occasions and important days in the office.